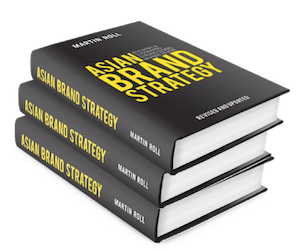 Martin Roll delivered a keynote speak on 9 Feb 2016 at BI Norwegian Business School in Oslo, Norway about how to build an iconic brand. The session was attended by undergraduate and Master students. BI Norwegian Business School is one of the leading independent, not-for-profit higher education institutions and the main provider of research-based knowledge on business and management disciplines in Norway. A Triple Crown-accredited school (EQUIS, AACSB, AMBA), BI offers business education programs from undergraduate level to postgraduate levels – this includes BBAs to Master programs – churning out 1 in 4 of the country’s business leaders. Martin Roll kicked off the keynote speak with a powerful quote by fashion designer and billionaire Ralph Lauren: “I don’t design clothes. I design dreams”. A combination of rich American heritage, exquisite craftsmanship, eye for detail and high quality, Ralph Lauren has forged a unique identity in the very competitive and ever-changing world of fashion and lifestyle. Traditionally, businesses used to only analyze the market and determine an offering. Today, that alone is insufficient. Companies that want to succeed in on the global stage need to also establish a purpose – a clear view of what it will bring to the world, why it matters, how it will deliver on that promise, and whether it is doing enough to create what it set out to deliver. This means creating clarity of the brand’s core mission, defining a shared vision and leading relentless execution of the brand strategy. Nonetheless, achieving the above is not a position that comes easily. It requires full attention and hard work over a long period of time and attention to every detail. LEGO’s turnaround towards becoming the most valuable global toy brand is a good example. Through the late 1990s and early 2000s, LEGO’s attempts to combat the rise of video games by becoming a lifestyle brand caused it to become over-diversified and near bankrupt. By going “back to the brick”, refocusing on core LEGO products, and divesting non-essential business units, the company began its return to profitability and valuable brand equity. It is important for a company to establish a profitable customer loop. First, it needs to identify ways to acquire and retain valuable customers. Second, it needs to eliminate non-valuable customers – this means to focus on only the customers the brand wants to target. Third, the company needs to up-sell its higher value products and cross-sell relevant products to customers. Next, it needs to offer word-of-mouth and referral benefits, thus converting customer purchase into customer loyalty. Finally, but not least, it needs to reduce the cost of service to customers. This means to find the most cost-efficient way to service a brand’s customers. Once a company is able to achieve this, it can then re-focus its efforts to start again at the beginning of the customer loop. It is inevitable that marketing and brands are becoming essential strategic drivers of businesses especially those that want to create an iconic brand and leave a legacy. As such, business leaders will need to shift their mindset from being focused on low-price to a mindset of branding, value, purpose and performance. Only when this is led from the top will businesses start to unleash their potential towards building iconic global brands.